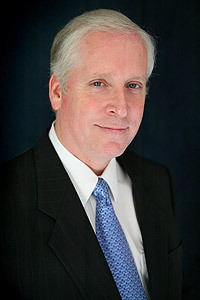 Thomas W. Young, MD has nearly thirty years of experience as a full-time forensic pathologist. He has performed nearly 5,400 autopsies, testified in civil and criminal court more than 465 times, and provided deposition testimony more than 125 times. Since January of 2007, Dr. Young has provided consultant services in forensic pathology as a self-employed person, consulting in cases throughout the United States and in other areas of the world. Prior to his self-employment, Dr. Young was the Jackson County Medical Examiner for 11 1/2 years, serving as the chief death investigator for metropolitan Kansas City on the Missouri side of the state line. He modernized the death investigation system, obtaining for the office full accreditation by the National Association of Medical Examiners. The office remains the only nationally accredited death investigation agency in Missouri. Dr. Young’s major professional interest is inference applied to forensic pathology. He applies principles of deductive and inductive logic to forensic casework, determining with reasonable medical certainty what happened and who (if anyone) is responsible for what happened. Dr. Young is an experienced communicator and teacher. He is a teacher of pathologists and forensic pathologists and the former director of a nationally accredited forensic pathology training program. Dr. Young is also equally adept at communicating his knowledge to others outside of the medical field. He presents difficult concepts in a way that makes them easy to understand.